Maternity photos have come a long way! 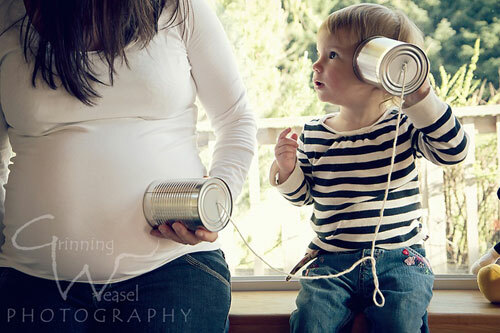 Creating a special photo to share with your family during and after your pregnancy has become extremely popular. There are so many creative ideas you can find on Pinterest for fun locations and what to wear. Treat yourself to a professional makeup and hair session for your photo shoot. It will help build your confidence, and make you feel good about having your picture taken while pregnant. We have selected some of our maternity shot favs to share with you! These maternity shots are simple, but stunning! The light from the window/outdoors is perfect for silhouetting these beautiful pregnant women. I love the idea of including siblings in the shot. These photos are precious and will make the expecting big brother or sister feel special for being included. Ask your photographer about spots that would work well for your photo session. The beach, a field or an old, vintage building could be great locations. Choose a spot that has some meaning to you…a place you love and cherish. The new baby’s nursery is a wonderful spot too, and will be fun to look at in later years. Along with professional photos, take time to take some “selfies” during your pregnancy…Show the growth of your belly from the beginning to the end!